Traditional Pilates moves on the Reformer and Tower. Sculpting tools included! Allow your mind to control your body. 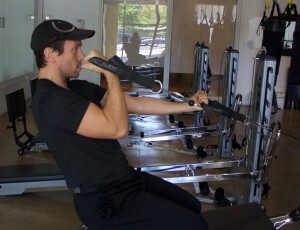 Incorporating Pilates and strength training using the GTS, Pilates Chair and TRX. This class will tone every muscle in your body. 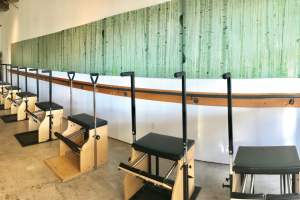 Fusing the best of both worlds: Pilates One’s signature Circuit class and Traditional Pilates on the Reformer. Tone, lengthen and strengthen. High-intensity class which features striking kick, punch, elbow and knee techniques to elevate your cardio system to new levels, tone/sculpt muscles, increase flexibility AND give you self-defense skills that will make you feel unstoppable! A class designated specially for men. Focusing on upper body strength, flexibility and core. The perfect 55-minute class which fuses Pilates, strength training and Cardio on the Versa Climber. A Pure contrology and tone class. Contrology: How well your mind can control your body.